Situated at an altitude of 2195 meters and is 101 kms from Siliguri via Kalimpong. Lava is famous for its proximity to the Neora Valley National Park and its beautiful view of the Jelep La and Rechi La passes. “Lava” is a Bhutenese word “La” means “ the lord” and “Va” means the presence .People believe that the flora and fauna of this region is the blessings of god.Till 1700A.D. the area was part of lepchas kingdom and was subsequently conquered by the Bhutanese. Lava is about 34 km east of Kalimpong. Surrounded by Oak, Fir, Chir, Pine & Dhupi trees, Lava is a ideal place for quiet and calm holiday. During Monsoon, Lava is also known for its leaches, though big in size, this creatures do not cause much harm to humans. Common tourist places around Lava include Ratnarishi Gumpha, Neora Lake, Silviculture Research Centre, and Chhangey falls. Treks to the Neora valley starts from Lava. Apart from long treks across the valley, small treks are also possible in the region. Common treks include trek to Tiffin Dara, Aluabari etc. The beauty of this quiet and romantic place lies in its dense forests of Berch, Pine and Juniper and the variety of orchids. While at Lave, enjoys a day's outing to the fascinating Chhangey Falls (12 kms from Lava) with 2 Sunrise points viz. Ghanti Dara and Tiffin Dara, Lava Monastery, Nature Interpretation Centre. If you are a little adventurous you can take a 12 km trek to Jelepa and Rachela pass situated on the Trijuntion of Sikkim,Bengal and Bhutan. By road from Siliguri via Kalimpong 99km or via Gorubathan 105km . The route through Gorubathan is a breathtaking one as most of the route is covered by Tea Gardens. By Rail, nearest major Junction is New Jalpaiguri . However nearest railway station is New Mal Junction from where it takes only two hours to reach Lava. At lava vehicles on hire are available through Syndicate at prefixed rates. Tiffindara : A trek of 3 km to tiffindara view point (7700 ft) .You can have a spectacular view of sunrise over Kanchanjunga a range .The panoramic range includes peak of eastern Sikkim, Nathula,Reche-la, Jelep-la etc. Lava : Buddhist monastery and wildlife interpretation centre is small and beautiful hamlet of lava. Neora - Valley : Trekking to Neora valley National park known for its pristine and virgin forests known for its wild fauna population of Red Panda Himalayan Black Beer, Royal Bengal Tiger,Snow Leopard, due to its change in altitude at places various species of birds making perk a paradise of birds watchers.There are more than 106 species of birds which includes Eagle , Tragopan, Thrush, Flycatchers, Cuckoo, Wood owl, Barbet,Woodpeckers,Babblers ,Robin, Jungle Crow , Sunbird, Mynas, and Orioles etc .In 1992 finally it was declared as a National park you may also avail the services of trained nature guides to explore the landscape and its various conservation values specially the medicinal plants which exists in abundant diversity. Chhangey fall : This spectacular falls is a 14 km drive by jeep and a trek of 1km .A destination one should not miss. Gumbadhara : Gumbadhara view point about 6 km road and 1 km by narrow uphill trek. Also at Gumbadhara village there’s Buddhist monastery and a graceful statue of Buddha. Loleygaon : Loleygoan is the natures paradise in its own with beautiful landscape comprising lush green forests scene valleys .The peak of Kanchanjunga range rise majestically in the morning mist across the relli valley loleygaon is one hour journey from lava though the serpentine forest road. Lava to Bagdogra (Airport) - 112 km. Lava to New Jalpaiguri (Railway Station) - 105 km. Lava to Tiffin Dara (view point) - 3 km. Lava to Loleyaon (Kaffer) - 22 km. Lava to Charkhole Lolegaon- 34 km. Lava to Neora Valley National Park - 10 km. Lava to Rishyap - 11 km. Lava to Rache La (Pass) - 12 km. Lava to Kalimpong - 34 km. 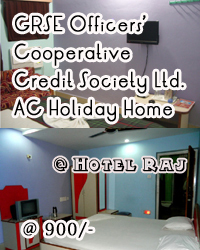 HOLIDAYHOMEINDIA in association with STATE BANK OF INDIA STAFF RECREATION CLUB, ADMINISTRATIVE OFFICE, HOWRAH proudly announce the launch of our new Holiday Home at HOTEL CHOICE at LAVA, WEST BENGAL with 6 Rooms. With our inaugural offer the tariff of each room for Indian Nationals is Rs.550/- and Rs. 600/- per day. Axis Bank in C/A No. 436010200015996 favouring Holidayhomeindia in Barrackpore Branch, IFSC Code - UTIB0000436.